Travel to the tropical top end & experience the abundance of wildlife & beautiful scenery, before travelling through the heart of Australia. 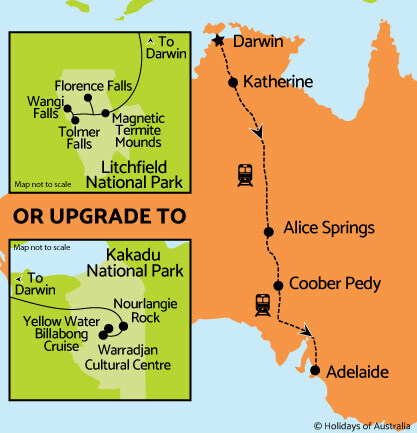 Discover Darwin at your pace with a Hop On Hop Off pass. 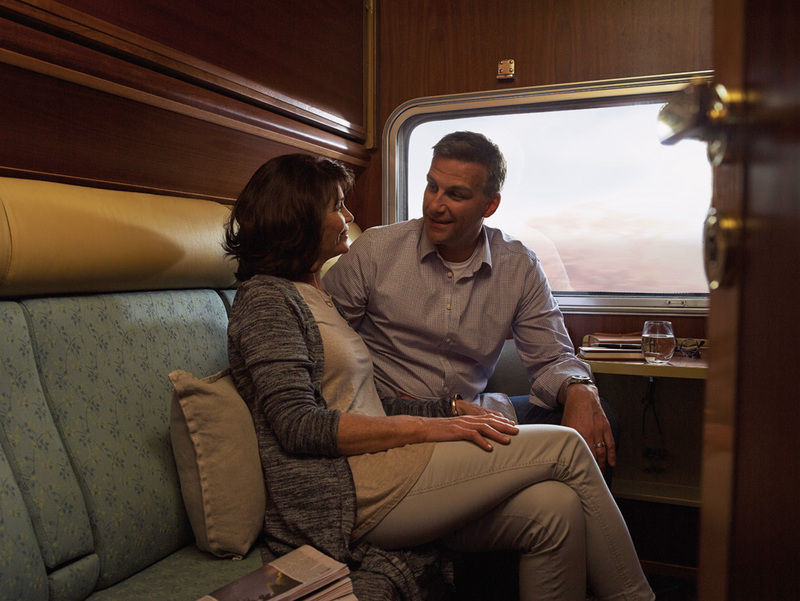 Exploring either Kakadu or Litchfield National Park Extended off train experiences at Alice Springs and Coober Pedy as part of The Ghan Expedition Journey. 3 night stay in Darwin at the Hilton Darwin including breakfast. City Explorer Hop On Hop Off 24 hour pass. Full day Litchfield National Park tour or Upgrade to Kakadu National Park tour for $90pp. Transfer from the Rail Terminal to the Adelaide Airport. ^Save $590 per person based on everyday fare twin share, other discounts apply for different fares. Available on new bookings only, discount has been applied to pricing and is valid for sale until 1 June 2019 for travel between 1 June - 31 August 2019.